In compliance with Sales and Use Tax Laws it is necessary that we have a signed re-sale certificate indicating your State Sales Tax Permit Number. Your acceptance of these terms and conditions indicates the merchandise purchased from us has been purchased for re- sale or commercial wine manufacturing. This certificate is good until revoked in writing by you.I HEREBY CERTIFY that I hold the valid seller’s permit numbered herein. This re-sale permit was issued by the state to the business name above pursuant to the Sales and Use Tax Laws of that state. The products purchase from US Elite Winery Supplies will be resold as tangible personal property. In the event any of such property is used for any purpose other than retention, demonstration, or display while holding it for sale in the regular course of business, it is understood that I am required by Sales and Use Tax Law to report and pay tax, measured by the purchase price of such property. 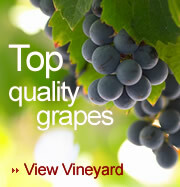 I describe the property to be purchased as hobby beverage products or for use in commercial winemaking applications.